The AB7873 helps you to connect a source device, e.g. 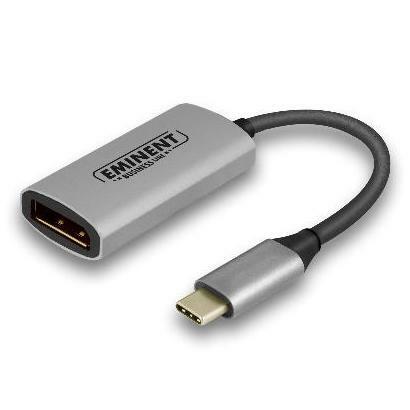 a notebook, with a USB Type-C output, to a monitor or beamer with DisplayPort input. This solid aluminium video/audio converter supports a maximum resolution of 4096 x 2160 (4K) @ 60Hz. 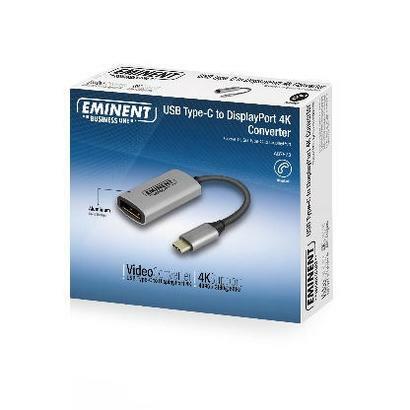 An ideal resolution for displaying videos, pictures, presentations etc. Please make sure the USB Type-C port of your source device supports DP Alt Mode.